However, only a few of their predictions are precise. Others are ambivalent, and mere conjectures from reading of the moods in the polity. This creates a perfect alibi for them when their forecasts are off the mark, which’s the case over the years. That’s why most Nigerians query the sincerity and credibility of the “Men of God.” Are they truly prophets “chosen by God to say the things that God wants to tell people?” Are they in contact with God, and does He speak to them, as they regularly assert? 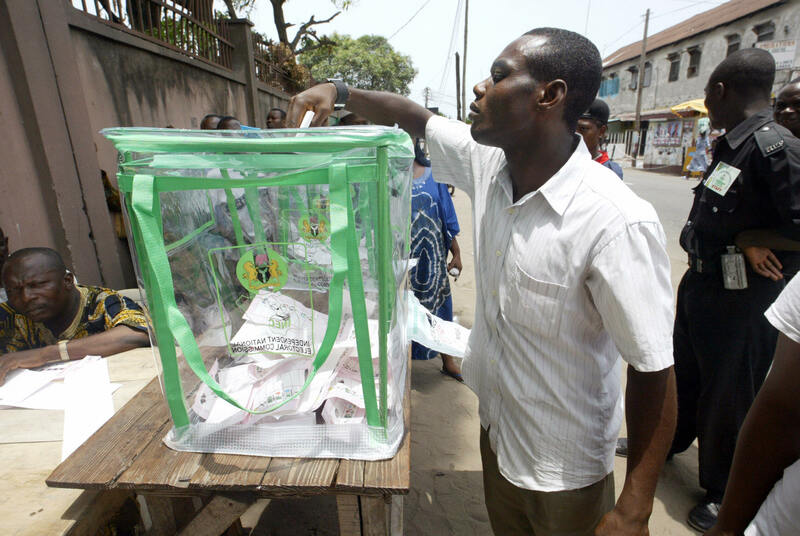 As the 2019 elections approach, so are their prophecies coming in torrents, with the majority “seeing” a peaceful and orderly conduct of the exercise, despite the obvious scheming of politicians to impugn the integrity of the electoral process. Some of the clerics, who often boast of the precision of previous prophecies, talked about Devine revelations, while others seemed to speak from their personal conviction on the presidential balloting that’s 39 days from today, January 7. Yet, the prognoses for the February 16 presidential contest have a mixed bag of fortunes for the candidates, particularly the leading contenders, President Muhammadu Buhari of the ruling All Progressives Congress (APC) and Alhaji Atiku Abubakar of the main opposition Peoples Democratic Party (PDP). As the “prophets” have prophesied: “President Buhari will be returned to power,” some said. “Atiku Abubakar will prevail,” others pronounced. Which side will be vindicated? Well, we have 39 days to answer the poser. In the meantime, below is a checklist of the forecasts some of the prophets reeled out during their crossover services on the eve of the New Year. They may lift or dampen your spirits for your preferred candidate! Primate Elijah Ayodele: The head of INRI Evangelical Spiritual Church, Oke-Afa, Isolo, Lagos, has predicted victory for President Buhari because the PDP “refused to do the right thing from the beginning,” which’s to give the ticket to Senate President Bukola Saraki instead of Atiku. “I said it the other time, and I still maintain it; if PDP had given the ticket to Bukola Saraki, they will win because it’s only Saraki that can unseat Buhari. But PDP have not done what they are supposed to do,” the Primate added. Prophet Ekong Ituen: The Spiritual leader of Christ Deliverance Ministries in Lagos, said: “Let me start by telling Nigerians that election results will spring surprises. But in my revelation, it has been established that President Muhammadu Buhari of All Progressives Congress (APC) will win the election. Prophet Christopher Owolabi: The General Overseer of Christ Apostolic Church, Ori-Oke, Irapada, Omu-Aran, Kwara State, declared: “The present leadership in piloting the affairs of this great nation, as was revealed to me, will extend beyond 2019 and there is going to be a brighter light at the end of the tunnel, socially and economically. Rev. Fr Ejike Mbaka: The Spiritual Director, Adoration Ministry, Enugu, declared: “Among all the presidential aspirants, Buhari stands in the best position in winning the presidential election.” He enumerated some of the president’s achievements in infrastructural development, and the “revolution” in agriculture. “In all this, we urge Nigerians to vote President Buhari in order to complete his eight years’ tenure, and after which he will hand over to a younger candidate,” Mbaka said. Recall, however, that in May 2018, Pastor Adegboye told journalists in Ibadan, Oyo State, that God had revealed that “he (Adegboye) will take over power from Buhari in 2019.” So, is he the “Messiah” for Nigeria? Certainly, February 16 would reveal that! * Mr. Ezomon, Journalist and Media Consultant, writes from Lagos, Nigeria.